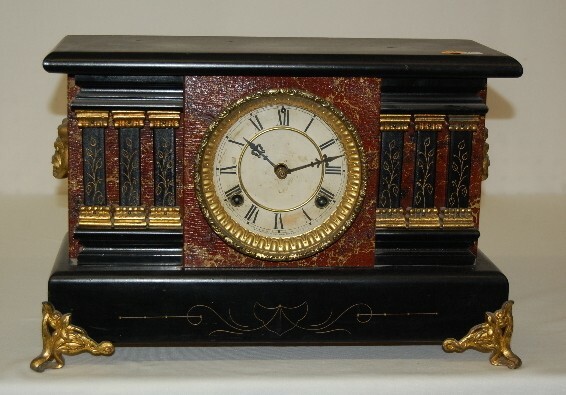 Waterbury "Dragon" Enameled Wood Mantel Clock marked paper Waterbury dial; has pendulum and key; 1/2 hour bell strike; unmarked brass movement; faux red marble and enameled wood case with 3 flat columns; metal feet and accent. Running. (Dial discolored and worn; case shows wear.) 10 3/4"